Bayer Leverkusen vs Köln – Saturday 14:30BST/15:30CEST – BayArena Leverkusen. Leverkusen may sit in tenth place as we approach the end of the Bundesliga season but they will have a nervous eye over their shoulders. Last season’s third placed team are only three points above the dreaded relegation playoff place as Matchday 33 gets ready to kick off. Köln, on the other hand are pushing for a Europa League place and will look to take advantage of their hosts poor season so far. Powered by Anthony Modeste they carry a genuine threat to Bayer’s Bundesliga future. Bayer Leverkusen have had a torrid campaign by their recent standards. Out of European contention for next season, and nervously liming towards safety domestically, die Werkself now find themselves teetering on the edge of the relegation places. However, a victory here against the high-flying Köln will all but guarantee their Bundesliga status next season. Leverkusen had expected more from the appointment of Tayfun Korkut, the 43-year-old German was drafted in after the dismissal of Roger Schmidt on Matchday 23 – a drubbing by Borussia Dortmund the final straw. The expected new manager bounce hasn’t come and the club from the Rhine region find themselves two places worse off than before Schmidt was sacked. Without a win in five Bundesliga games you must go back to early April to find a Bayer victory – a 2:0 win away at now relegated Darmstadt. Probe a bit deeper and it’s February when you find the last time they put two victories together back to back. 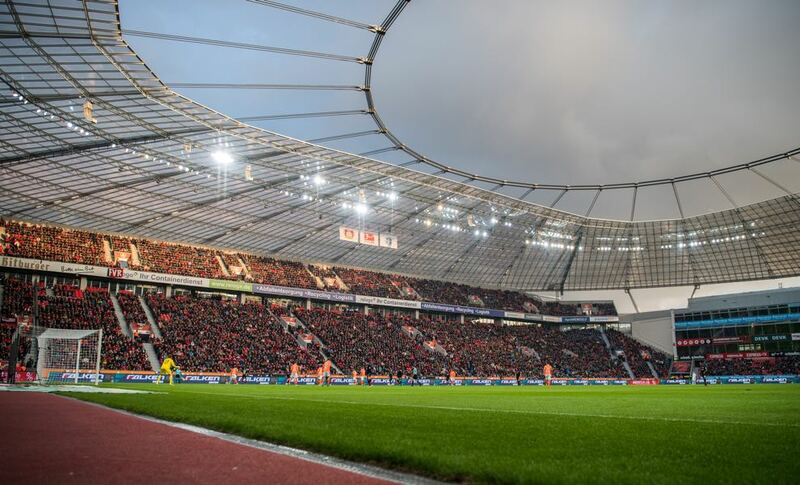 With Matchday 32 only providing a draw at almost relegated Ingolstadt, the problems that have been concurrent throughout this Bundesliga season become all too apparent – Leverkusen have found victories hard to come by, at a time when this is needed it leaves nothing but a nervous wait for those who call the BayArena home. If Leverkusen have had a poor season, their visitors this Matchday have had a whirlwind of a campaign. Last season Köln finished ninth, this season they stand on the cusp of Europa League qualification. One point behind a faltering Hertha Berlin and only two behind the emphatic Freiburg, the Billy Goats could stake a major claim for Europe with a win this weekend. 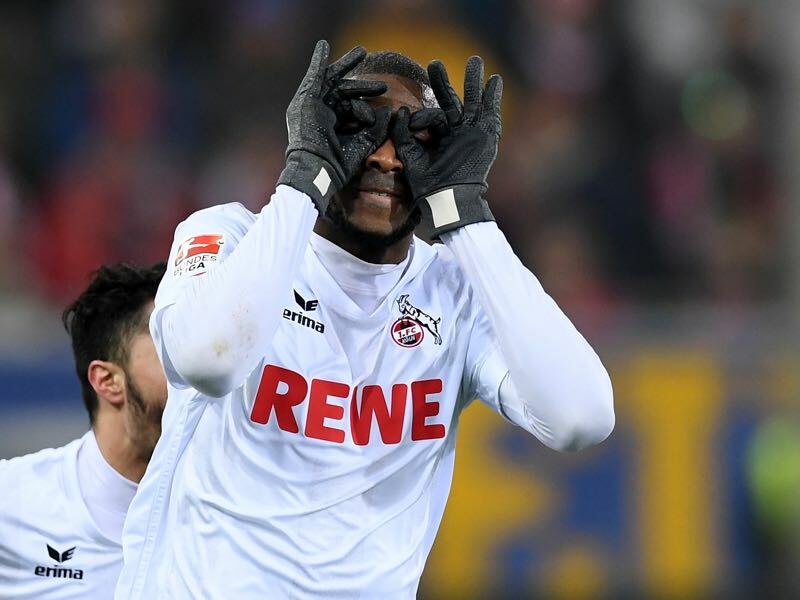 Buoyed by the brilliant Anthony Modeste, Köln have scored 47 goals this season, the Frenchman finding the net on 25 occasions – his contribution is telling. Back to back draws followed back to back defeats on Matchday 28 and 29 for die Geißböcke, had their form been a little more consistent that elusive Europa League slot may have already be confirmed. Despite all this Peter Stöger has managed to lead Köln to within a whisker of European football, something the City of Cologne is more than ready for. Should they be able to capture all six points from their remaining two games, it may be that Köln can just pip Hertha Berlin or Freiburg come 20th May, something that would add the cherry to the top of an already iced cake. 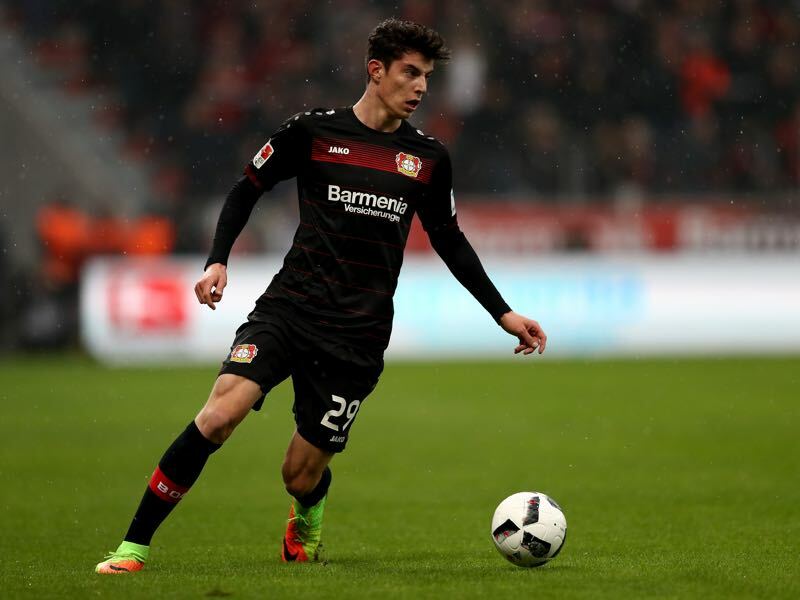 Don’t be fooled by his youthful appearance, Kai Havertz is shaping up to be the real deal. The German U17 international can play in a variety of positions, finding joy out wide or as part of the secondary attack his contribution has been telling. However, it is as an attacking midfielder where he has seen most of his Bundesliga action. Fresh from scoring a late equaliser against Ingolstadt on Matchday 32, Korkut can be thankful the young player has spared his blushes. Havertz has an excellent academy portfolio that includes scoring 26 goals in 53 appearances for the Leverkusen U17 side; he averaged a goal every 174 minutes. With Bayer struggling for goals since Chicharito’s absence, it is a statistic they will hope Havertz will bring with him as part of his on-going senior side development. The Cannes-born centre-forward has been a revelation this season for Die Geißböcke, registering 25 goals in 32 Bundesliga games he currently sits third in the race for the Torjägerkanone. Adept at finishing with either foot and his head he can be described as a ‘complete striker’, his hattrick on Matchday nine versus Hamburg, and more recently against Hertha on Matchday 25 show his full worth—be it in the air or on the ground Modest is a potent goal threat. With 15 goals last season the striker is already 10 better off. With Leverkusen leaking at the back over recent weeks, Modeste could look to take that total closer to 30 for an all-time best.